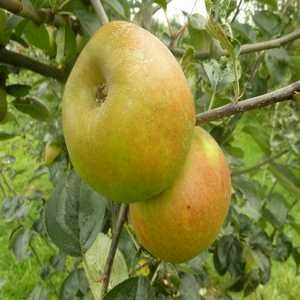 Orleans Rienette - Dessert Apple Tree £12.75 - Dessert Apples - Late Season Apple Trees and Fruit Trees For Sale. Buy at competitive prices with wholesale discounts. 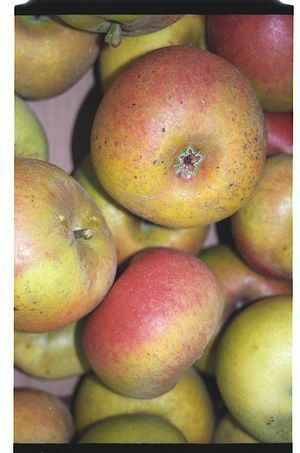 Orleans Rienette is a highly esteemed apple. 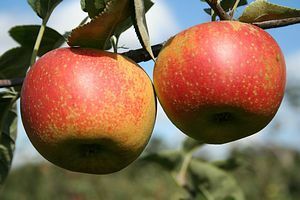 It is an old dessert variety that produces a nutty and aromatic fruit, golden yellow in colour with a pretty red flush. In terms of flavour it could be described as a more aromatic form of 'Blenheim Orange'. It was first recorded in 18th century France, and up until 1921 was known in the U.K as 'Winter Ribston'. It remains the classic French cooking apple.